Hi everybody! Welcome back to The Knowledge Pool, where we take a deep dive into a specific commander’s strategy! Last August I introduced the idea of a ‘Potluck’ deck when I wrote about Yennett, Cryptic Sovereign, and this week, I’d like to revisit that concept. A Potluck deck aims to build a semi-budget list by primarily using the cards in your collection. Ultimately, I want to be able to play a new deck without spending much money, while also finding a home for some cards languishing in my deckbuilding box. 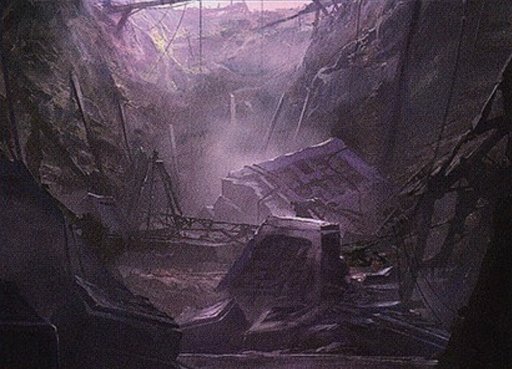 For more context on this style of deck building, check out my Yennett article here. This week we’ll be making a Tasigur, the Golden Fang potluck, and focusing on spells with X in their cost. I’ve wanted to build around Tasigur for a while, and my deck was inspired by an episode of The Command Zone featuring Jeremy Noell. In this episode, Jeremy introduces his version of Tasigur that focuses on the card Villainous Wealth. The deck aims to ramp hard, find Villainous Wealth, and then cast and recast it over and over until you can kill your opponents. While I love the idea of behind Jeremy’s deck, I want my version to have a bit of a wider theme. If we’re going to be ramping so much anyway, it makes sense that we include other X spells so we can always get the most from our mana. 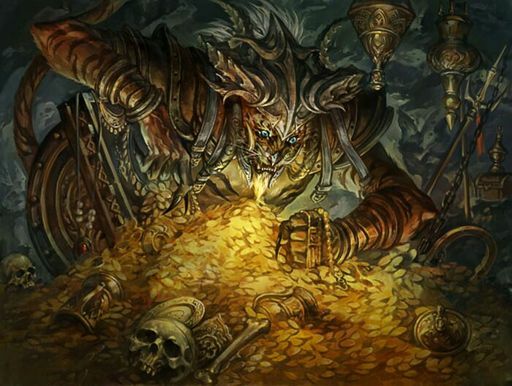 Casting Villainous Wealth is the primary goal of this deck too, so having ways to find it is important, and we’ll also want to make sure we have lots of mana to cast it for as much as possible. Given that we’re in green, we can easily make tons of mana, and our access to blue and black will give us unparalleled draw power to find Villainous Wealth. It’s also worth noting that black gives us access to tons of options for tutoring, but for the sake of variance I’ve neglected most of these. Once I recognized that I wanted this deck to constantly be ramping and drawing, it became apparent to me that we’d need some significant board control to protect ourselves once our opponents catch on to our gameplan. 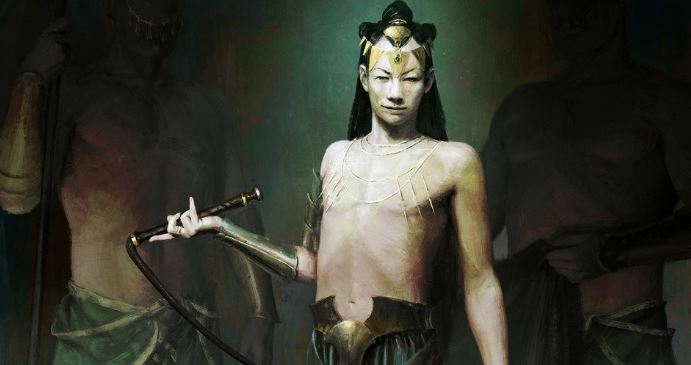 Luckily, the Sultai colors have plenty of options for dealing with most every kind of permanent, so slanting towards control isn’t too challenging. This brings us to our final variable: the commander. 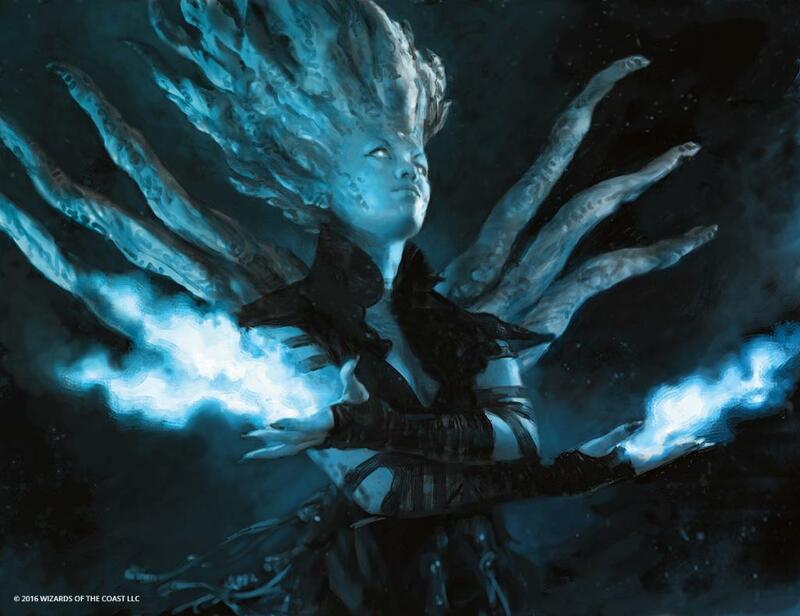 Is Tasigur the best commander for our strategy? While Damia, Sage of Stone is a solid control commander, I like Tasigur here because of his recastability, giving us a consistent source of instant speed draw power. Let’s take a look at this deck at how I’ve built the deck so far. Based on the objectives we’ve outlined for our deck (ramp, draw, and control), it should come as no surprise that the bulk of our spells are devoted to these areas. We have 14 draw spells (not including our commander), 11 ramp spells, and 9 removal spells. Our curve is centered at an average CMC of 3.37, and based on our density of draw spells, ramp spells, and our 38 lands, we should have no trouble hitting our land drops and casting our spells. When selecting the spells for this deck, there were a few minor synergies I wanted to focus on. The bulk of the best X spells are instants and sorceries, so cards that synergize with instants and sorceries were a priority. For instance, Twincast is an incredible card in this deck, giving us the opportunity to copy any of our spells or any opposing spells while also acting as a pseudo-Counterspell. 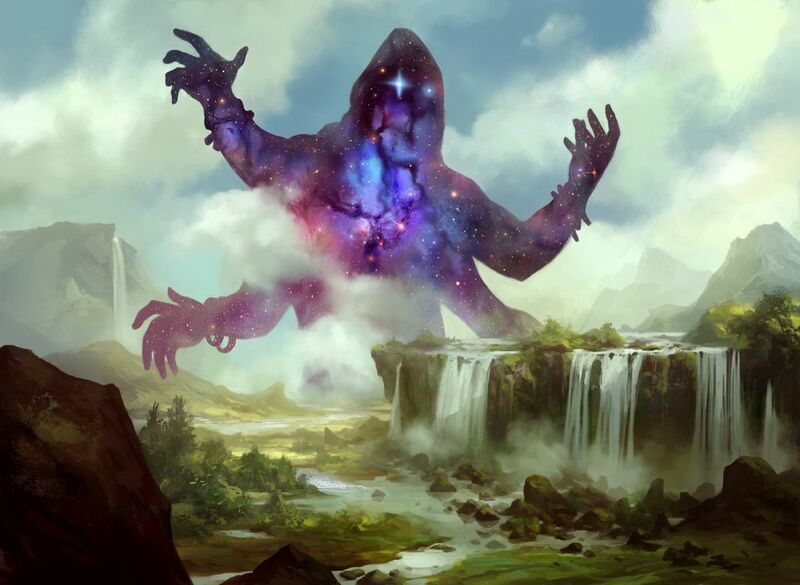 When selecting tutors, I aimed for more narrow options like Mystical Tutor instead of the broader options like Demonic Tutor, and when deciding on recursion options, cards like Mnemonic Wall and Regrowth were chosen in place of staples like Eternal Witness. As mentioned above, a Potluck deck is all about the cards we already have, instead of acquiring expensive cards we don’t. The other minor synergy I kept in mind was filling the graveyard. Tasigur thrives on a full yard, and we can use his Delve ability to purge any cards we wouldn’t want to “draw” with his ability. This is the other tremendous upside to choosing Tasigur as our commander: we have a realistic chance of getting back our X spells if we keep a tidy graveyard. Luckily, the Sultai colors are masterful at filling a graveyard, offering the ability to incidentally dump cards while we stick to our theme. Cards like Notion Rain and Ancient Excavation let us dig towards the missing elements of our strategy, while filling the yard in the process. I would like to point out that despite the inclusion of dumping power, I didn’t want to go overboard on the Delve spells. Tasigur won’t be cheap if we’re forced to recast him a couple times, so we’ll be burning up our graveyard equity in no time. Finally, I want to make an observation regarding how this deck aims to win a game. We want to fly under the radar during the early and mid-game as much as possible while we set up our board, and an early Tasigur will often be enough to dissuade attackers in our direction thanks to his large body. If at all possible, we will want to leave up mana at the end of turns to keep our removal and counterspells live, and if we don’t use it all before our turn, we can funnel it into Tasigur to draw cards. 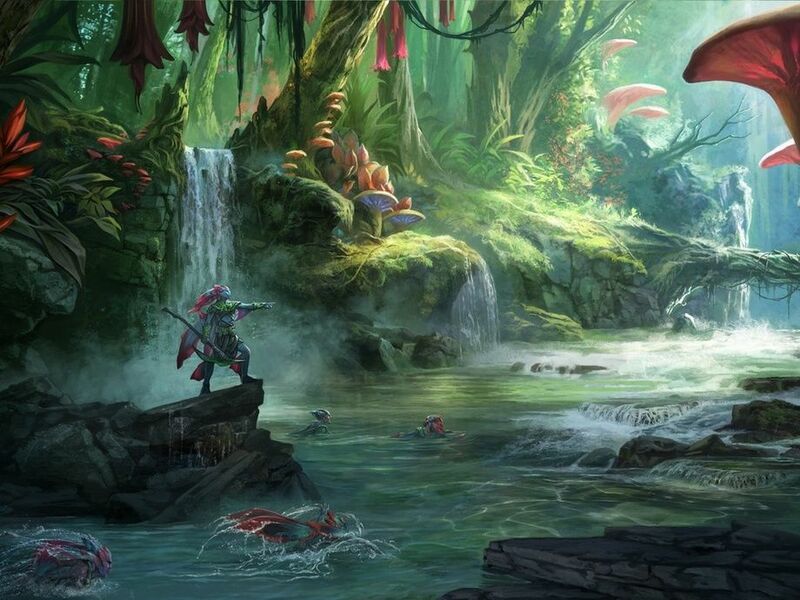 Having Tasigur as a mana-sink makes cards like Seedborn Muse and Wilderness Reclamation all the more appealing, helping us to establish a value engine with very little effort. Once our opponents are ground out of answers, we’ll be set to take over a game. So what does our Potluck format offer a deck like this? As currently built, this deck costs about $300 on TCGplayer, which isn’t particularly budget friendly for most players. However, large chunks of this deck’s cost are made up by a small handful of cards like Exploration, Training Grounds, and Jace, Vryn’s Prodigy. While I have extra copies of these cards in my collection to add to this deck, almost all of the more expensive spells in this deck can be swapped out for cheaper alternatives. We’ll talk about some options later on, but in staying true to the Potluck design, I recommend replacing these with whatever fun, Sultai cards you have in your binder. Given the somewhat generic nature of this deck’s objectives, I feel like a very budget version of this deck is possible while still maintaining the same flavor and general power level. Need to replace Exploration? Rites of Flourishing, Wayward Swordtooth, or even a Rampant Growth could help achieve the same end. The rising price of Bane of Progress got you down? Try out Wave of Vitriol instead and make the most of a budget manabase. At the end of the article I will offer a more comprehensive list of swaps that could be made for some of the more expensive cards in this deck, but for now let’s start at the top, and dig into the X spells that will be winning us the game. Finding the right number of X cost spells for a deck like this one can be difficult. X spells are at their best when we’re casting them for tons of mana, and fairly lackluster if we’re forced to use them early game. For this reason, I kept our count low, aiming for the most impactful options possible. The crux of our strategy is centered around Villainous Wealth, which should buy us the resources to win the game. While context will be key to determining the value of Villainous Wealth in each game, there will usually be somebody at the table with big creatures or big spells that we’re happy to steal from. Beyond Villainous Wealth, Torment of Hailfire is our next best choice to take over a game. Once we’ve ramped to a point where we’re casting Hailfire for 10 or more, it stops playing like a “punisher” style of card, and instead will leave our opponents with nothing. I’ve mentioned that we’ll be playing a controlling game, and that we’ll want to stay under the radar until we start dropping our X spells. However, if/when our opponents become aware of our strategy, we’ll likely come under fire. 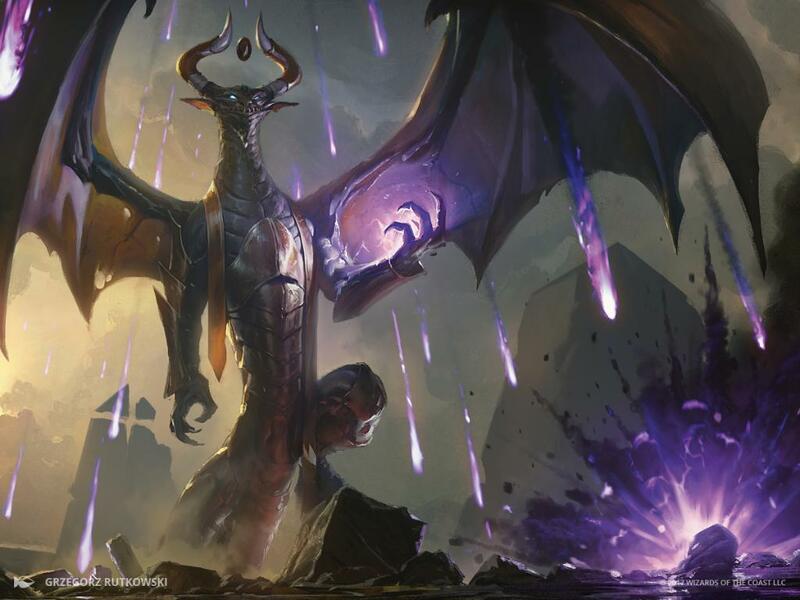 In Commander, being in complete control of the board at all times is a fantasy, and for the times where we’re forced to eat some damage, Exsanguinate can quickly pull us back into a game. If players have been taking damage throughout the game, Exsanguinate can even finish off those on their last legs. Our last two X spells are a lot more straightforward. I prefer Pull from Tomorrow over Blue Sun’s Zenith and Stroke of Genius in decks that aren’t trying to generate infinite mana. The other remaining X spell is Diabolic Revelation. Revelation is a carryover from Jeremy’s version of the deck, and while the base cost is intimidating, I’m curious to see if the high ceiling makes this card valuable more often than not. The most recent game I played with this deck saw me casting Revelation for X = 2, and finding Pernicious Deed and Villainous Wealth. I immediately cast Pernicious Deed, and then popped the Deed for 4, eliminating the threats that were planning to kill me on the following turn. For those keeping score at home, this play cost 14 mana, and, yes, we can hit that much without too many issues. Obviously one game does not a sample size make, but I’m currently optimistic about Diabolic Revelation in this deck. While not X spells, I would like to point out two other spells I’ve included to help close out games for when our plans break down. Mind’s Dilation is a fun card that fits along the same strategy lines as Villainous Wealth. If Dilation is allowed to sit on board, we’ll generate enough value to win just by accident. The other option is Avenger of Zendikar which makes use of our ramp-heavy strategy to make dudes and bring a lot of power to the board. Now that we’ve gone over how we’re going to win the game, we need to talk about how we’re going to get there. Half of our options for drawing or filtering cards are costed under three mana. Cards like Jace, Vryn’s Prodigy and Search for Azcanta will give us the ability to see more cards, and will reward us for dumping cards into our graveyard by giving us more long term value. In the interest of limiting the Delve spells in this deck, I chose not to include Treasure Cruise in favor of spells like Urban Evolution. However, Dig Through Time seemed too good to pass up. Given that this deck will often be looking for answers, or X spells, or for more Ramp/Draw, having the chance to dig deep and find what we need seems particularly enticing, and the fact we can do it at instant speed means we don’t even have to go shields down. Beyond these, Windfall, Jace’s Archivist, and Fact or Fiction will allow us to see lots of cards while also dumping lots of cards. Given our ability to draw tons of cards, Exploration and Burgeoning seem exceptional here. Even into the later game we’ll often be able to make the most of these cards, putting all excess lands on to the battlefield. It’s also worth noting that these spells synergize particularly well with Life from the Loam and Ramunap Excavator, letting us churn through our graveyard to build up our board. We are running a budget manabase, so including a suite of Guildgates and Circuitous Route seems like a good way to nail fixing and ramping at the same time. One quality of this deck that I noticed almost immediately was how often I was holding more than 7 cards. Cards like Sylvan Scrying can help us to find Reliquary Tower, but I also wanted to include Thought Vessel to bolster our ramp plan while including more ways to keep an expanded hand. Normally, I like to include a short section on removal, but the removal in this deck is fairly generic. Instead, we’ll be briefly going over a couple of other spells that I’ve included to help get the most value from this deck. The only issue with Tasigur’s ability is its cost, so having a couple ways to get a cheaper rate are important. Training Grounds and Biomancer’s Familiar will let us double our Tasigur activations, and allow us to sift through twice as many cards. Each successive activation of Tasigur means that we’re less likely to get back the cards we want, but given the redundancy of abilities this deck offers, we will usually end up with something we can use. Kruphix, God of Horizons is included here for the same reason as Thought Vessel: we want to be holding as many cards as possible. As an indestructible enchantment, Kruphix will be very challenging for our opponents to remove. We’re not just playing Kruphix because of the unlimited hand size he offers, we’re also interested in being able to float our mana for our X spells. Kruphix helps ensure that our mana never goes to waste. The craziest part about looking at this list is just how many of these cards would have been perceived as budget-friendly not too long ago. While some of these have rather easy replacements, others will require some creativity. We already briefly discussed Exploration, and the cards I suggested to replace Exploration also apply to Burgeoning. For these, aim for other ramp spells like Rampant Growth, Nature’s Lore, etc. Training Grounds has been expensive for a while, but luckily the new Biomancer’s Familiar is a redundant option here. I would recommend replacing Training Grounds with another ramp spell, although if you end up with other creatures with activated abilities Heartstone is an option. Jace, Vryn’s Prodigy and Search for Azcanta can be replaced by cards like Merfolk Looter or even Mission Briefing if you’re sorely missing the recursion Jace offers. Making these swaps limits your long-term value, but will still help you to filter cards and stock your graveyard. The hardest cards to replace here are Seedborn Muse and Kruphix, God of Horizons. These two are as expensive as they are because of the uniqueness of the abilities they offer, so there’s no cut and dry replacement. Both of these cards represent tons of additional mana, so they could be replaced with spells like Zendikar Resurgent, but I would also advocate their replacement with any pet cards you’re trying to find a home for. Thank you all for taking the time to read my article. I don’t often get to write about decks I’ve had the chance to play, but I can say from experience that this deck works as advertised and it’s a blast.